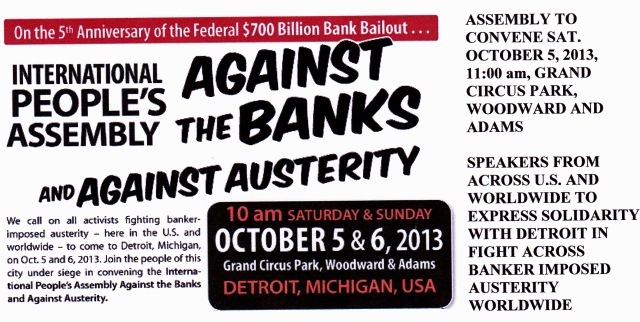 The International Peoples Assembly against the Banks and Against Austerity will convene Saturday and Sunday, October 5 and 5, at Grand Circus Park in Detroit, at Woodward and Adams. The Assembly will convene Saturday at 11:00 am, continue to 9:00 pm, and reconvene Sunday morning. 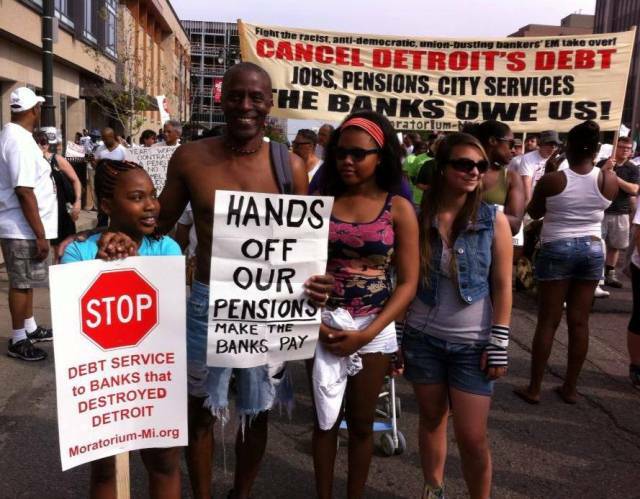 The People’s Assembly will target the role of the major banks in creating the financial crisis in Detroit, placing 73% of Detroiters in sub-prime predatory mortgage loans that led to over 100,000 foreclosures and destroyed Detroit’s communities and tax base. 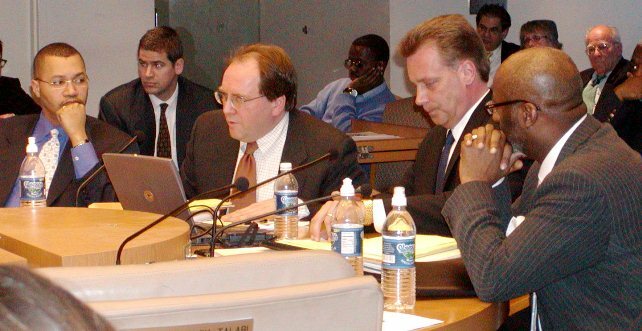 These same banks then placed the city into predatory loans, such as the interest rate swaps which have cost the city over hundreds of millions dollars already, and will net them hundreds of millions of more if Orr and Snyder have their way. Banks like UBS and Bank of America have had their executives prosecuted and even jailed in the case of UBS for municipal bond fraud. They have been subject to countless judgments for predatory mortgage lending. They have been investigated for LIBOR manipulation and municipal bond rigging. Yet, despite being paid $62 million from Detroit taxpayer dollars, Orr, Jones Day, and the other “consultants” have refused to investigate the role of the banks in Detroit’s crisis. Statements from France, Brazil, the Philippines Spain and many other countries, as well as speakers from across the U.S. will be introduced at the International Peoples Assembly. Their message is that Detroit is not alone. 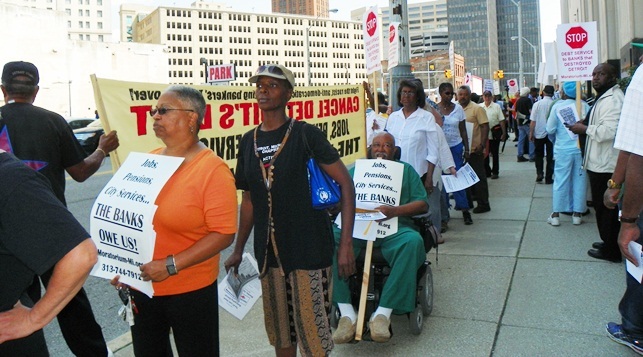 The working class across the globe, fighting similar austerity imposed by the world banks, stands in solidarity Detroit’s pensioners, workers and residents.